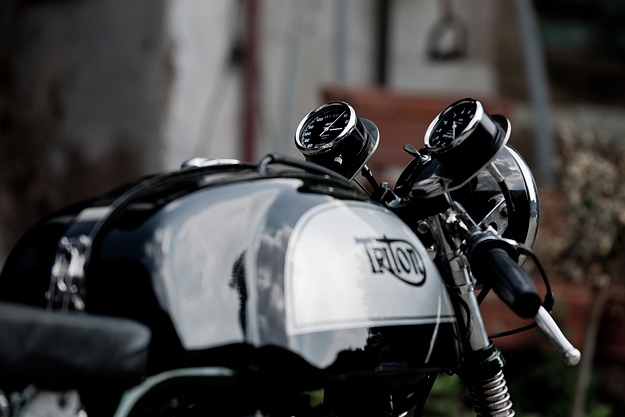 The Triton is the stereotypical café racer—especially when painted in the iconic silver and black colors. So it’s getting harder to find one that impresses. This lovely machine fits the bill, though. It hails from France, and is owned by photographer Vincent Michel. 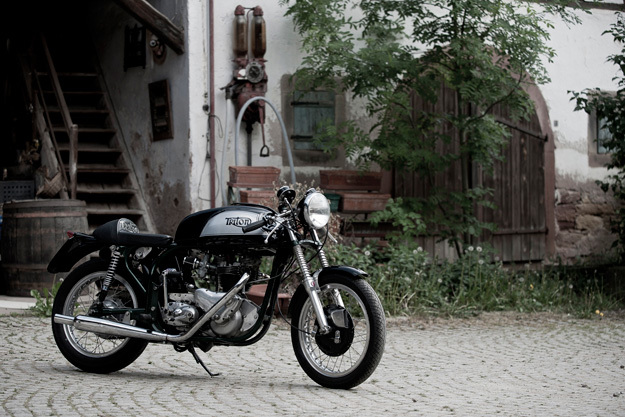 The engine and frame are from 1963, although the Triton was originally put together in 1970. 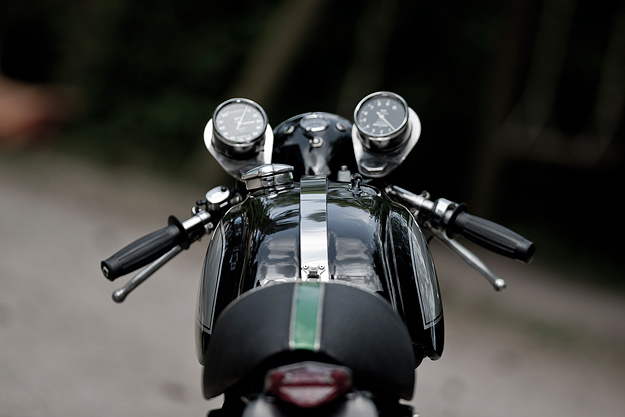 The frame is the slimline Norton featherbed, and the motor is a pre-unit Triumph 6T (Thunderbird), now fitted with later-model Bonneville heads. 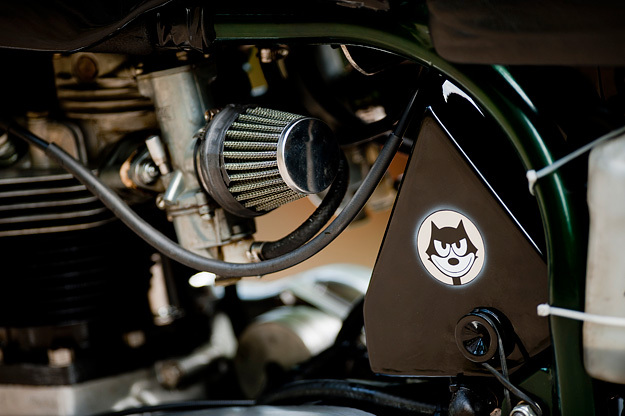 High compression pistons and a 3134-spec cam increase performance, along with Amal concentric carburetion. The finishing touch is the new paintjob, courtesy of Aerocolordesign. 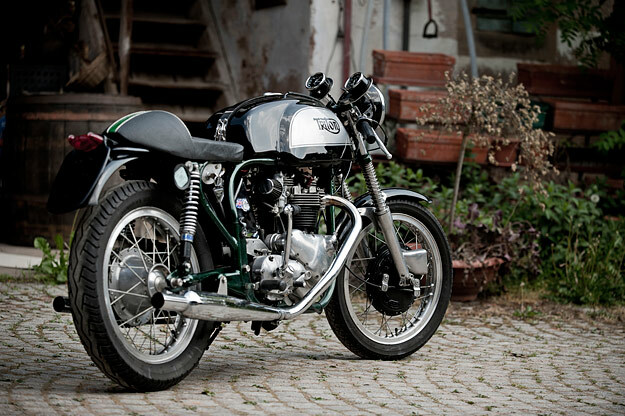 According to Frank Charriaut of the excellent MotArt website, this Triton is ‘fast, noisy, stiff, lightweight and racy. 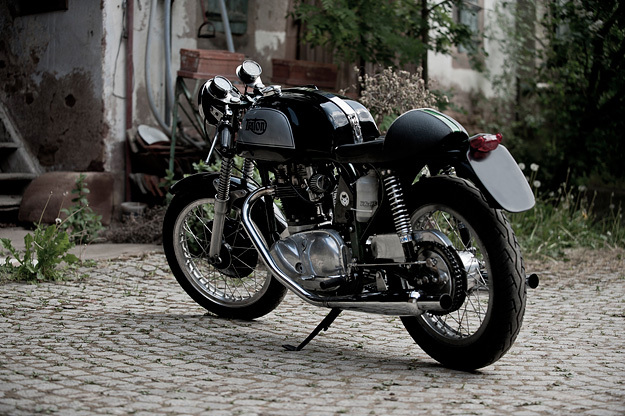 A true villainous motorcycle … the original cafe racer.’ Tout simplement délicieux.